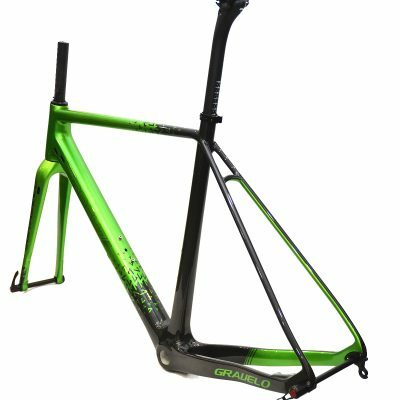 Our ‘…my freedom, my adventure’ mantra, has never been so apt when you look at the brand new Gravelo gravel bike from Mach7. Engineered to the highest specification, each bike is beautifully hand painted with up to 14 coats of paint, where it’s created to your own personal requirements within the Silverstone Technology Cluster area. 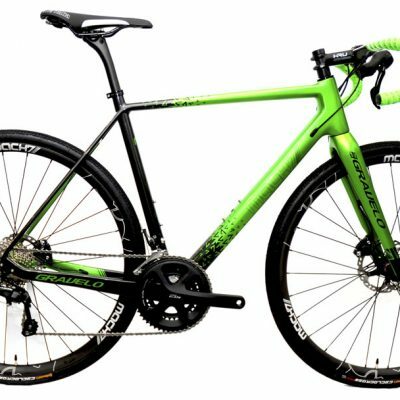 The Mach7 Gravelo is built as a true adventure bike, enabling you do go where no other road bike can go – a true hybrid. It’s nimble, with its Toray UD carbon frame and has unrivalled comfort from 35mm grippy tyres which behave equally on and off road. Seriously powerful hydraulic brakes keep you safe in all conditions. Riding this machine, is an adventure, and creates a freedom to venture into the unknown. KRU K-Class carbon aero handlebars. 100mm stem length, 420mm width, 40mm span. Please download the sizing and frame geometry PDF. You may find it useful to take this document if you have a bike fit carried out, so that you can be supplied with measurements we can use to create the perfect bike for you.